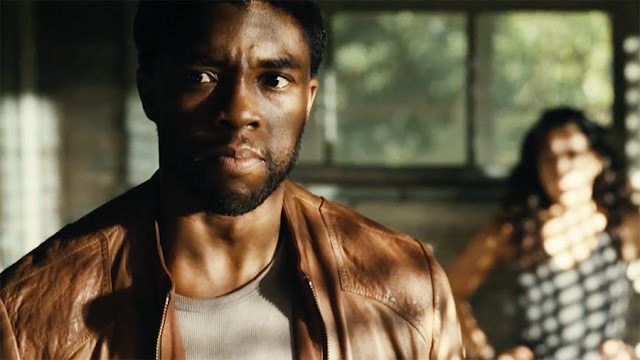 Pissed off Chadwick Boseman on a revenge-fueled quest, bludgeoning his way through the Los Angeles underworld, is definitely something I want to watch. It doesn’t hurt that Message from the King (his character’s name is Jacob King, get it?) surrounds the star with a solid cast of Alfred Molina, Teresa Palmer, Luke Evans, and Tom Felton. Dude has such a hitable face, you just know he’s going to get the hell kicked out of him. Told you so. Simple, stripped-down, to the point, and hopefully effective. Directed by Fabrice Du Welz, from a script by Stephen Cornwell and the aptly named Oliver Butcher, who both penned Unknown, Message from the King has all the bonafides of this kind of down and dirty thriller. It premiered at the Toronto International Film Festival last year to mixed reviews. I only put so much stock in that, especially as far as this particular subgenre is concerned, and this lives right in my world. Netflix will release Message from the King on August 4, so we don’t have long to wait. As far as their originals go, the streaming giant hasn’t done a ton of action, but if they want to hang out in this grim revenge, $10 million budget area, I’m game.